In a fitness club each element should encourage to action. 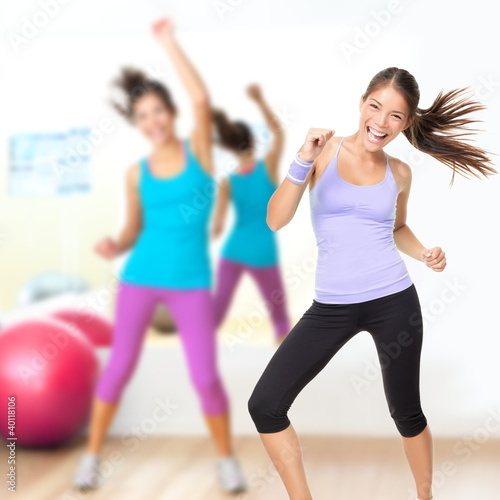 An amazingly interesting challenge is Zumba classes. Encourage everyone to exercise together! Let it become a passion and a way of life. A photo wallpaper with a fitness motif is an addition that adds variety to the space and motivates to further action.